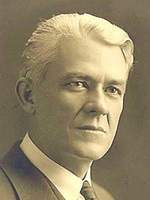 Rey Lucero Pratt (11 October 1878 – 14 April 1931) served The Church of Jesus Christ of Latter-day Saints for 23 years as president of its Mexican Mission and for six years as a general authority. Pratt helped establish the church in Mexico and among Spanish-speaking populations in the United States and Argentina. He also translated LDS Church materials into Spanish, wrote magazine articles and spoke regularly at General Conference. Pratt was born in Salt Lake City, Utah Territory, the fourth child and second son of Helaman Pratt and Emmeline Victoria Billingsley Pratt. When Rey was nine, the Pratts moved to Mexico to help settle Colonia Dublán, a Mormon colony in the northern state of Chihuahua. Rey grew up in Mexico, learning to appreciate its history and people. Rey and Mary "May" Stark were married on 8 August 1900 in the Salt Lake Temple. Apostle Orson F. Whitney set Pratt apart as a missionary on 4 October 1906. On 1 November, Pratt arrived by train in Mexico City and reported to the mission home. He served for nearly a year under President Hyrum S. Harris, during which he presided over the Toluca conference for seven months. Then, on 25 August 1907, Harris announced that Pratt would replace him as President of the Mexican Mission. Harris set Pratt apart on 29 September and the Pratts moved to Mexico City shortly thereafter. Elder Pratt led the Church through a period of growth following his initial call as mission president in 1907. Church membership in Mexico more than doubled during his first six years as mission president. By 1911, over a thousand church members lived in the Mexican Mission. However, Mexico’s political climate gradually worsened. Porfirio Diaz, Mexico’s longtime dictator, lost control of the government and revolution ensued. Shortly after serious fighting began in Mexico City in 1913, the First Presidency authorized the Pratts and the American missionaries to return to the United States. Before leaving, President Pratt put the local branches under Mexican-born leaders, such as Rafael Monroy. The Pratts moved to Salt Lake City in September 1913. Two years later, the First Presidency again instructed the Pratts to move, this time to Manassa, Colorado, and establish missionary work among Mexicans in the United States. After five years, in November 1918, Church leaders moved the mission headquarters to El Paso, Texas, making it closer to the center of the vast mission territory. In March 1921, Pratt reopened missionary work in Mexico with eight missionaries. In November, jurisdiction of the Juárez Stake in Chihuahua was transferred to the Mexican Mission. This made Pratt president of all the Spanish-speaking organizations in the Church. He continued to expand the mission, opening up work in southern California in 1924 and establishing a Los Angeles branch. In January 1925, when Elder Pratt was called to be a President of the Seventy. He continued to serve as president of the Mexican mission. In the October 1925 General conference, President Heber J. Grant announced that Apostle Melvin J. Ballard along with Rulon S. Wells and Elder Pratt would go to Argentina to establish the Church in South America. Pratt’s fluent Spanish became indispensable, since neither Wells nor Ballard could speak it. The three boarded the ship Voltaire on 14 November 1925 in New York City, sailing past the Statue of Liberty. The Voltaire stopped in Barbados, Rio de Janeiro and Montevideo en route to Buenos Aires, Argentina. The ship arrived at Buenos Aires on 6 December; the three disembarked at seven in the morning and immediately set to work. In their first week in Argentina, the missionaries baptized six people who had been awaiting their arrival. They also held their first sacrament meeting. They expected to have continued success among the German and Italian immigrants, but the work soon became much more difficult. After a few weeks of hardships, the missionaries shifted their attention to the Spanish-speaking areas of Buenos Aires. They preached mostly in those areas until their departure for the United States in July 1926, after preaching to thousands of people. Pratt returned from South America to find Mexico caught up in another internal war, this time over the issue of separation of church and state. The Mexican government had decided to enforce the 1917 Constitution by prohibiting foreign-born ministers from holding authority in Mexico. Despite being prohibited from acting in an official capacity, Pratt continued to attend Church meetings in Mexico. The final years of Pratt’s life were busy, and the constant traveling gradually wore him down. Just after the April 1931 General Conference, Pratt stayed in Salt Lake City to undergo a hernia operation. While recovering in the hospital, Pratt experienced complications. His condition quickly deteriorated, and he died on 14 April 1931. He left behind his wife and ten living children. On 17 April, hundreds of people filled the Salt Lake Assembly Hall at Temple Square for Pratt’s funeral. President Heber J. Grant and other General Authorities spoke at the service. They expressed regret that Pratt had not lived to see the Church grow large in Mexico. Pratt was also responsible for translating many of the hymns of the Church into Spanish. The only other person who did a considerable amount of this work was Eduardo Balderas. This page was last edited on 7 September 2010, at 20:33.